Everything was better than we imagined. 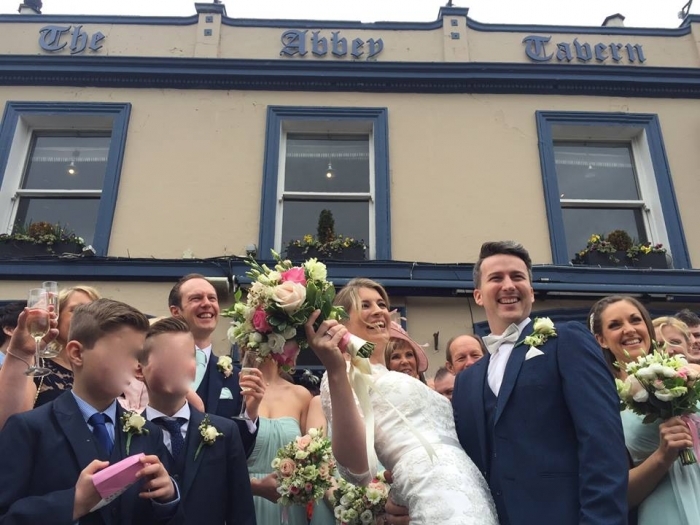 On behalf of myself, my new husband and all our friends and family I would like to extend a huge thank you to Richard, Olivia, Allison and all the staff at the Abbey Tavern, who worked so hard, going above and beyond to make our day so incredibly special!! We had the most amazing day at the Abbey and had so many positive comments from friends and family about the food, venue and staff. Everything was better than we imagined so THANK YOU so much!! Tracey and Niall.